User received “The network license cannot be found. 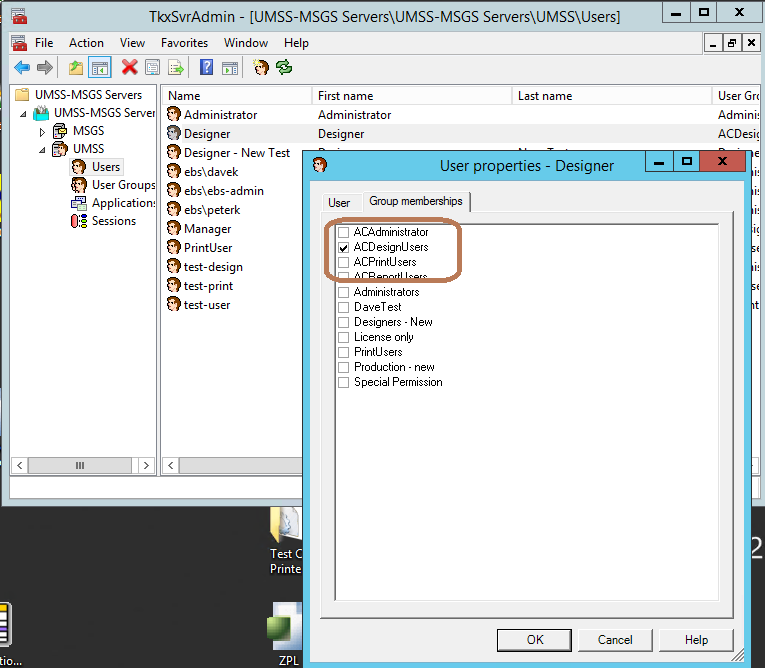 Check your Network Administration settings and ensure that the server is running” message when starting CODESOFT. This article will propose a solution. TEKLYNX labeling products running under a network license will periodically check the license server to make sure there is an available license allowing the client software to run. 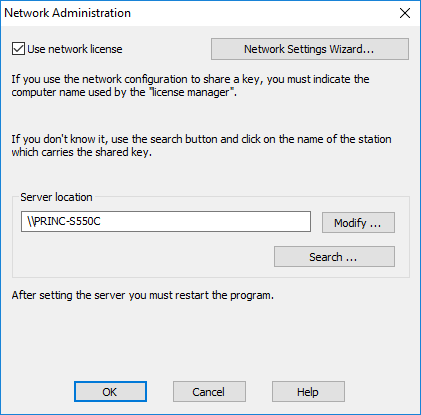 This error message means that the client software, running on a workstation, is unable to find a connection to that license server. If CODESOFT is a part of TEKLYNX CENTRAL system, the problem may be caused by the fact that the login user (to CODESOFT) does not have Designer privileges. If this is a part of TEKLYNX CENTRAL system, verify that the login user has Designer privileges by using UMSS console. 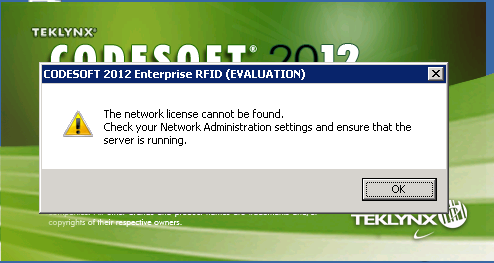 This message may appear before the “No license has been found…” error message.